Agency Power has added this silicone F-Hose to its line up of performance products for the Porsche 996TT. The silicone hose is a direct replacement of your factory unit. The hose is 4 ply silicone and is designed to withstand more boost pressure and never crack or fail like the factory unit. This hose will also prevent any potential boost leakage and loss of horsepower. The F-Hose works with the factory diverter valves or aftermarket ones. We recommend running aftermarket valves for best performance. 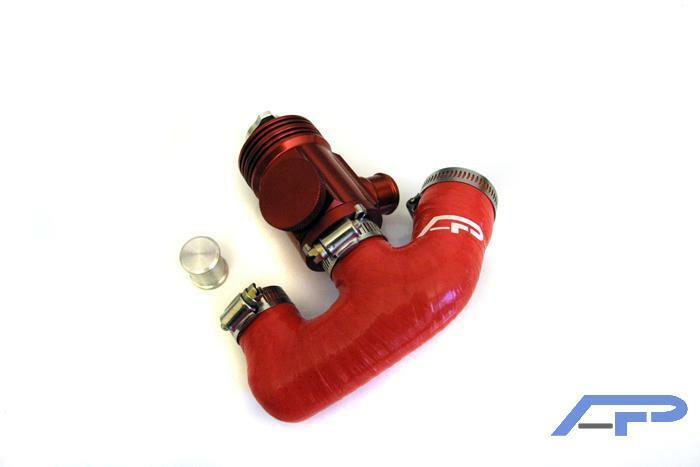 Dress your engine bay up, as these hoses are available in matching colors with our boost hoses. Red, Blue, Silver, and Blue are all available. F-Hose kit includes stainless steel clamps for easy fitment. Fits on all 2001-2005 Porsche 996 Turbos. Made in the USA!